The Pride of Hull sets the standard in passenger comfort, accommodation and style. 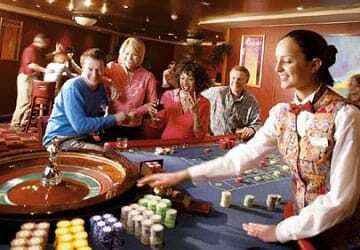 Whilst onboard, you have a great choice of places to eat and drink, as well as great entertainment, lounges, a cinema and a casino. There’s a range of cabins on the Pride of Hull to suit all budgets. Standard cabins come in 2 or 4 berth bunk bed variety with a choice of either inside or outside with sea view. Premier cabins are 2 or 5 berth and are available inside or outside with a sea view. 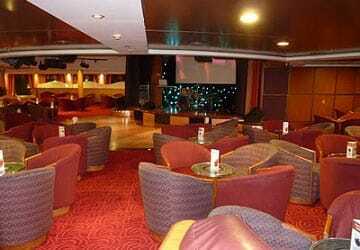 All Club cabins have a sea view and are located in a quiet section of the ship. You'll enjoy more space and a range of extras including a tv, telephone, fresh fruit, plus tea and coffee making facilities in the cabin. Cabins on the Pride of Hull are en-suite (shower room and wc) with towels and bed linen provided. There’s a great choice of places to eat and drink whatever your appetite. Get a coffee and a snack in the coffee shop, or savour a wholesome cooked meal in one of the restaurants. Whether you choose the Four Seasons with its carvery and buffet-style dining, or the first class menu in Langan's Brasserie, you are guaranteed an excellent meal. After you've eaten, enjoy a pint in the bar, relax with a glass in the wine bar, or take in the breathtaking panoramic views from the Sky Lounge. 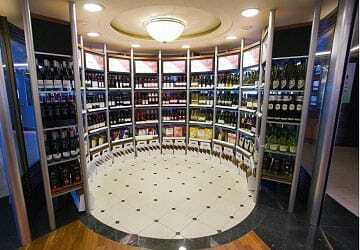 There are bargains to be had in the onboard shopping areas with savings of up to 50% off UK high street prices. You’ll also find a great range of books including the top 20, magazines, newspapers, kids' activities and toys. 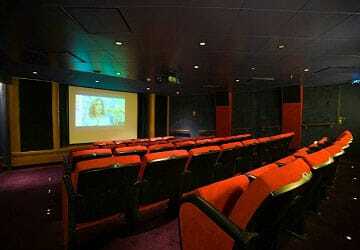 For great entertainment watch the latest films in one of the cinemas, catch the live cabaret show in the Sunset Show Lounge or have a flutter in the casino! 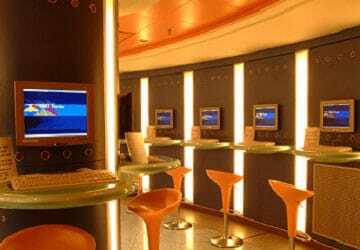 For your convenience there’s also a commission free bureau de change and an ATM machine with an E Top up facility. 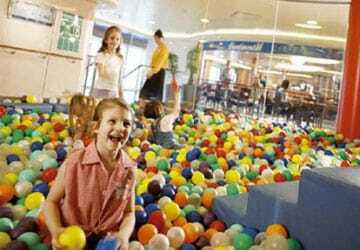 For children there’s a variety of activities, including play areas and quieter spots for watching videos. During the summer holidays, you will find free children's entertainers onboard and specially trained staff, who are there to encourage a little creativity with some supervised painting or drawing, allowing parents to sit back and enjoy their own space. There’s all the latest and best in video game technology for the not so little. The Pride of Hull is accessible for passengers of limited mobility or in wheelchairs. Vehicle passengers who are mobility impaired will be located near to entrances on the car decks for ease of access to the lifts. 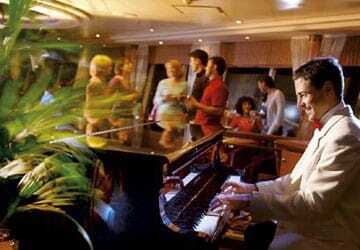 Onboard all areas of the ship are fully accessible with lifts and specially adapted cabins with wider doorways. Please Note: Whilst we have taken great care in making our Pride of Hull guide as accurate as possible, onboard facilities, services and entertainment may vary depending on the date and time of year that you travel, facilities mentioned may change without notification and ferry companies reserve the right to operate vessels other than those mentioned at time of booking without prior notification. "Road trip to germany "
What can i say , staff were superb, food was lovely with plenty of choice. Overall a very nice experience for a first time travelling with my family and dog. Kennel facilities are secure and clean, walking area was a smidge on the small side but what do you expect onboard a ferrie. We will be back soon guys. "Over night trip to Amsterdam "
Really impressed with experience. The cabin was much bigger than expected (we are a family of 5). Never traveled as a foot traveller before, loved it- no queuing, straight on when we arrived. 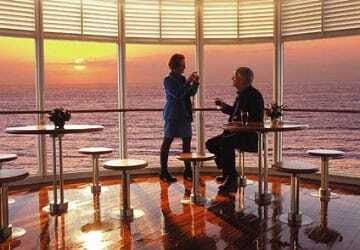 "Great booking service and good trips with P&O"
The usual excellent service on Direct Ferries enables us to book the crossings we wanted and at a price we were happy to pay. with relevant correspondence when required. The journeys between Hull and Rotterdam and return were excellent too, the vessels are comfortable with friendly and efficient staff. We enjoyed the sundeck for pre-dinner drinks, The Brasserie for dinner and both were excellent. The entertainment was provided with great enthusiasm and was enjoyable. Cabins were clean and comfortable with simple but effective en-suite toilet and shower. Breakfast in The Kitchen is varied and good if a little pricey at £12 and everything we had was fresh, tasty and piping hot where appropriate. 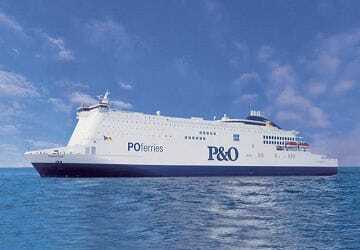 Well done overall, good service by Direct Ferries and by P&O. Outbound - all good apart from the restaurant exchange rate. 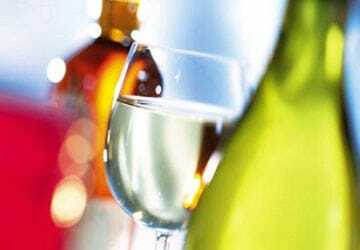 (£66 or €88 buffet for 4). Return - fantastic outside Club cabin right at the front of the boat. Well worth the extra £40! "Hull - Rotterdam crossing is fab "
We chose to take this ferry crossing to the Netherlands for the second time this August after having been on this ferry lazy July, too. 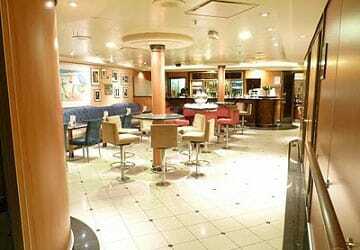 On the three ocassions we have been on this crossing, we have found the ferry to be clean and tidy, well staffed, good food and service, comfortable rooms and exellent entertainment in the Sky Lounge. We had no problems with embarking or disembarking and all P&O staff were courteous & helpful throughout. "Good food and a relaxing journey!" We had wonderful meals on board! A relaxing journey to complete our holiday! Had a great return trip to Rotterdam from hull on pride of hull and pride of Rotterdam lovely clean comfortable club class cabin. All staff were friendly and helpful would definitely use this route again. Facilities on ferry were very good, as was the quality of the dinner, the breakfast was less good, the coffee was poor. Cabins were comfortable, although I did not sleep well because of the motion of the boat. Had a lovely experience on the ship travelling by bicycle from Hull to Rotterdam for the first time. On the way back to Hull we did think that bicycles should be announced on departing the ferry, as we were treated as traffic through immigration and had to stand behind lots of cars with their engines running, breathing in their fumes and getting cold as it was a long wait. We were told we weren't allowed to move past the traffic. In Rotterdam we were waved to the front in immigration as cyclists, which we found welcoming and recognised that bicycles are not just another car on the road. Lots of people on the ship were enjoying a mini-cruise but for us it was means-to-an-end. We needed to get to Maastricht and the overnight ferry from Hull to Rotterdam seemed the best option. We're less than 2 hours from Hull and the price was within what we could afford. I'll be honest, I hate boats. I got sea-sick snorkelling in the Med. So, I wasn't looking forward to 12 hours and made sure I'd stocked up on seasickness tablets. I hadn't realised I also needed my party clothes! No, I didn't feel ill at all and slept really well. The entertainment was a bonus. On the way home, the ferry was filled with teenagers on school trips. Our cabin was noisy but the staff moved us without any fuss to a quieter area. An added bonus was when the kids entertained us with their singing and dancing along to the cabaret act. I'd definitely do it again - and bring my clubbing gear next time. "Hassle free way to get to Europe"
Makes a change from flying to Europe will all that hassle at the airport getting through security and waiting around. A very smooth operation with competent and friendly staff throughout. The restaurant is excellent but best to pre book and save a few pounds. "The best ferry crossing to The Netherlands." My wife and I took the overnight sailing from Hull to Rotterdam in November. What a fabulous time we had on the Pride of Rotterdam going and the Pride of Hull on our return. Being disabled it has its difficulties but the staff on both vessels were extremely helpful and very kind assisting me wherever I went. Our cabin was a premier cabin and was quite spacious, as boats go, the facilities were very good. We had an excellent evening meal and breakfast on both legs of the journey and the food was of a very high standard. Overall it was a very pleasant experience and I would personally like to thank all members of ships company on both sailings.